Boulder is known for its beautiful and unique luxury homes. Mountain retreats, modern luxury estate homes, spacious country estates and stunning horse properties mingle beautifully in the sophisticated neighborhoods that make up Boulder. Below are Boulder’s 10 largest luxury listings available on the market today, starting with listings over 7,500 sq. ft. to the largest, coming in at a stunning 9,236 sq. ft.
#10 900 Primos Road Boulder, CO 80302 – 7,521 Sq. Ft. Starting out our list at 7,521 sq. ft., this mountain home near Nederland features a huge master suite, teak hardwood flooring, massive wrap-around deck, hot tub, sauna and steam room. Includes perks like private community trout pond, water features, and proximity to trails in adjacent National Forest land. 4 Bedrooms, 4 Baths. #9 6401 Sunshine Canyon Drive Boulder, CO 80302 – 7,729 Sq. Ft. Recently updated, this luxury listing in one of Boulder’s most desirable mountain neighborhoods features an oversized gourmet kitchen, master suite, and gorgeous views as well as a guest house. 12 acres. 6 Bedrooms, 8 Baths. #8 980 White Hawk Ranch Drive Boulder, CO 80303 – 7,783 Sq. Ft. Spacious, impeccably maintained home in coveted White Hawk Ranch combines elegant design, beautiful craftsmanship and luxury features including chef’s kitchen, white oak flooring, vaulted ceilings & exposed beams. Large, private patio w/gas fire pit, manicured yard. 1.2 Acres. 5 Bedrooms, 7 Baths. #7 855 Timber Lane Boulder, CO 80304 – 7,848 Sq. Ft. This distinctive mountain property located in Boulder’s Pine Brook Hills makes the most of it’s views with floor-to-ceiling windows, deck and outdoor gathering areas. Luxury features include master suite, media room, exercise studio and caretaker’s quarters. 5 Acres. 5 Bedrooms, 6 Bathrooms. #6 1080 Juniper Avenue Boulder, CO 80304 – 7,960 Sq. Ft. This Boulder home, located on desirable west end of Juniper Avenue, combines design and luxury with a chef’s kitchen, performance stage, media room and heated outdoor pavilion. Master suite includes private deck and mountain views. 6 bedrooms, 8 bathrooms. # 5 5890 Woodbourne Hollow Road Boulder, CO 80301 – 8,677 Sq. Ft.
Beautiful country home with acreage features luxury kitchen, walnut flooring, indoor pool and spa and guest cottage. 5+ acres. 6 bedrooms, 6 bathrooms. #4 1133 Timber Lane Boulder, CO 80304 – 8,775 Sq. Ft.
A distinctive luxury home in Pine Brook Hill, this property brings nature inside with an indoor waterfall and natural atrium. Additional features include elevator, wine cellar and gated driveway. 7 acres. 5 bedrooms, 7 baths. #3 517 15th Street Boulder, CO 80302 – 8,896 Sq. Ft. Unique Chautauqua property combines a completely restored 1900’s historic cottage with a large, modern luxury home. Clean, contemporary design includes vaulted ceilings and private outdoor veranda. 5 bedrooms, 6 bathrooms. #2 3472 Sunshine Canyon Drive Boulder, CO 80302 – 9,120 Sq. Ft. The StarHouse is known as a destination for spiritual events. Property includes StarHouse, main house and 2 bedroom retreat cabin on private, rugged land. 105 acres. 7 bedrooms, 7 bathrooms. #1 1538 75th Street Boulder, CO 80303 – 9,206 Sq. Ft. 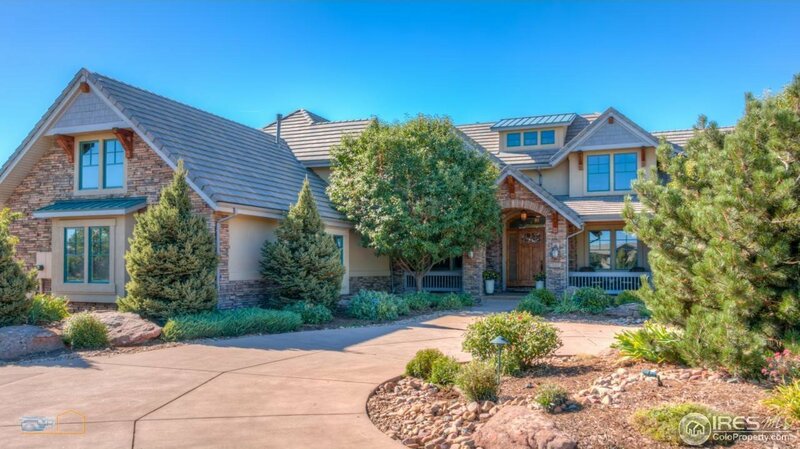 The largest home for sale in Boulder currently is this beautiful and luxurious horse property in East Boulder. This property features 21 stall barn, riding arenas, in-ground pool, tennis courts and water rights. 46 acres. 6 bedrooms, 7 bathrooms. Not all properties reported here are listed or sold by Jeremiah Daly. I live in the Boulder foothills with my wife, Rachel, and two daughters. Having grown up in Colorado, I enjoy all facets of our local lifestyle: the outdoors, live music, craft breweries, and living healthy and eco-minded. Interested in moving to Boulder? As a local Realtor at WK Real Estate, I can help you with your home search!